Click on INDIVIDUAL at bottom of webpage. Click on BUY A TEST. Read the page, the test you have to take is the OPI or OPI(c). Click on NO, you are not testing for state teacher certification. 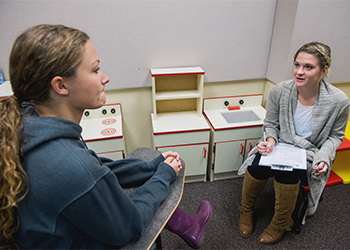 ensure the speech pathology and audiology department will have access to your results. Continue past the welcome page. Select Spanish for your language. You will then be given two options of testing, OPI (c) or OPI. Make sure you read the difference in the options to make your selection. Then you'll be able to select your date and time of testing. and see your results without you sending us an official copy. Then you can purchase your test.